A letter to Congress or talking points in a speech do not make any changes official. Congress is surrounded by people with vested interests in implementing, or blocking the implementation of, such letters and policy papers. Immediately upon release of the letter to the public, the AFGE was out with a statement, as one would expect, denouncing the policy and actually arguing for the opposite direction with federal employee benefits. Changes to benefits have been discussed for years and the considerations in this letter; removal of the annuity supplement, lowering or removing of cost of living adjustments, higher employee contribution to pension, and movement to a high-5 calculation are some of the most common discussion points. When, likely not if, legislation is one day approved it will probably contain some of these provisions. There isn’t much one can do to prevent eventual changes, but perhaps getting involved with your local NARFE or AFGE chapter or writing your representative would make your voice heard. What can be done though is consider these proposals from a personal finance perspective. What would happen to your retirement plans if this proposal was converted into a bill and became law tomorrow? Each proposal option and how it affects one’s planning can be explored independently starting with the annuity supplement. Let’s look at each in some more detail. Clearly, from this list the percentage of federal workers this affects is minimal. Implied in these qualifications is likely a healthy FERS pension as being able to retire on an immediate annuity at MRA requires at least 10 years of service, but in many cases workers have much more. If the plan was to retire by one’s MRA and not work, then the removal of this benefit means the loss of approximately $1,000 a month from that date to age 62. $1,000 a month is by no means small, but the options to replace this income are pretty straightforward. They are either to assess cash flow to see if retirement looks all right even if this income is missing, work a year or more longer to both increase the TSP balance for later withdrawals and increase the size of the FERS pension itself, or finally choose to work in some capacity so as to earn about $1,000 a month or more. The next proposed adjustment is either the removal or minimization of cost of living adjustments (COLA) to one’s pension as they receive income over time. 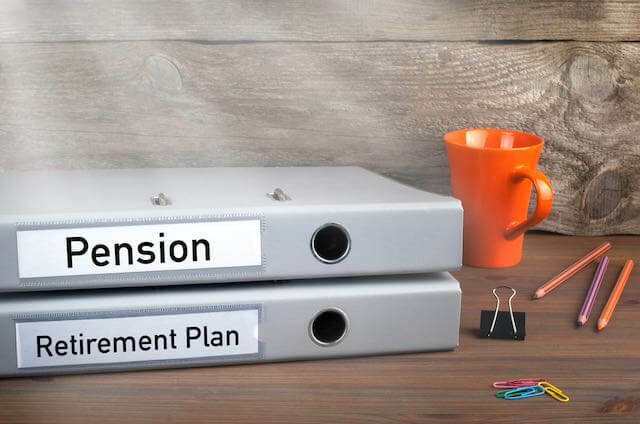 This means for those currently receiving pensions, or possibly only for those retiring in the future, there may be either no increase or limited increases to your income as you progress through retirement. Any loss of income is significant, but let’s take a look at examples of figures for some context of how this could play out. First we need a starting pension value and a retirement age, so we will use $30,000 and age 62. Currently there is a formula for FERS recipients to calculate their cost of living adjustment (COLA) and it’s based on the Consumer Price Index (CPI) which is a measure of the increase in cost of goods annually. The CPI can vary from year to year, but for our example, let’s say the increase in the CPI causes FERS recipients, under current rules, to receive an average 2% increase in their pension annually. That would mean if they start at $30,000 annually at age 62, by the time they reached age 72 their annual income would be approximately $36,569, and by age 82 their income would be approximately $44,578. It’s worth noting that in this scenario the figure only represents their FERS pension, not any Social Security they likely would also be receiving which also receives cost of living adjustments, withdrawals from TSP savings, and any assets or income a spouse may have earned. The proposal would either remove or reduce these increases over time. If they remove them altogether, we can easily assess the reduction in income this person would have over time. They would still be receiving $30,000 annually just as they did their first year of retirement. If on the other hand the COLA were set at a formula that now caused the increases to average 1% for example, we could compare the figure’s growth. Starting from $30,000, it would become $33,138 10 years later, instead of the $36,569, and after 20 years would be $36,605 instead of the $44,578. Clearly these are noticeable differences in income, but knowing one’s long term circumstances allows planning. In all of these scenarios, the person’s income in the first several years of retirement is practically the same which still allows them to perhaps have a successful standard of living at the outset. Longer term steps like budgeting, relying on deferred assets, and planned downsizing are all considerations. While it is impossible to know what changes, if any, will come out of Congress in the near future, taking control of your financial planning for retirement in the areas that you can control will help you have a more secure future despite whatever changes may come along. Stay informed and join our mailing list to be notified of any upcoming changes towards your benefits.